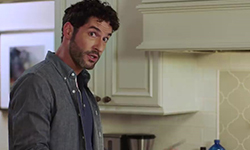 It’s time to add the 4th song to the Tom Ellis inspired playlist. You can find the playlist in the sidebar or you can follow it on Spotify or on Youtube. 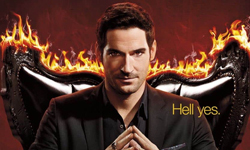 Tom has mentioned that he would think this would be a good song to do on Lucifer. And he has also sung it a couple of times at Con’s or in some bts video’s from the set of Lucifer. And since filming of season 4 is starting today, and they’ve already hinted Tom will be doing a new song in the 1st episode I thought it was time to add Creep to the list. Because I kind of secretly hope the song he recorded will be Creep. 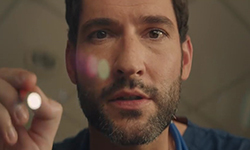 This entry was posted in Playlist, Tom Ellis and tagged Music, Tom Ellis on August 13, 2018 by About Tom Ellis.